Happy February! Um…where did January go? Seriously, I know it’s such a bore to repeat the phrase, “Time is flying by!” But, man seriously, time IS really flying by! As promised I’m here to share some words about big changes I’m making in my life…and although I don’t really feel like I’ve got quite a grasp on how to explain them…well…I’m gonna try. After a month of listening more, journaling more, painting more, and reflecting more, (as well as stumbling, making mistakes and taking on too much), I’ve noticed some messages in my heart that are ready to manifest – and those messages have inspired me to prioritize my intentions for this new year. 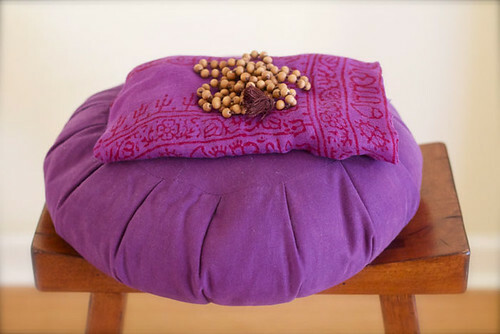 My quest last year to Reduce Clutter; Create Space has helped shaped my new mantra for this year – To Live Without. I get a magazine each month called Living Without, and it shares tips and inspiration around living a gluten-free, dairy-free lifestyle. I have to admit I’ve never liked the title. It sounded so depressing to me. Who wants to “live without?” I mean, come on, isn’t that kind of limiting? I want to live life to the fullest (and eat pizza) – shouldn’t I get to have it all? And then it hit me. I’ve always had an issue with lack. That I knew. But, I kinda thought I was over it. I mean, I used to think I wasn’t good enough, or that I didn’t make enough, or that I didn’t have enough. I couldn’t possibly start teaching, coaching, making art, or writing because I didn’t know enough. You get the idea. So the phrase, Living Without, was actually bringing up old feelings of lack for me. I also think it’s probably why I have a hard time staying within my weekly grocery budget and continue feeding my Whole Foods addiction, because I want to prove to myself we now indeed do have enough and I’ll never have to live without again. But…something has changed. My year of reducing clutter has helped me get to this moment, where I not only am embracing living without, but I’m feeling happier and freer with less. And I’m actually starting to experience a whole new meaning of wealth that goes way beyond a dollar amount. So this year I’m letting go of more stuff (mental, emotional and physical junk), so that I can expand beyond things and allow space for the infinite possibilities that await. I need my creative outlet and connection to community just as much as I need to stay home with my children right now. I also know that I have to continue striving to be present during both. When I work, I need to focus on work. When I’m with my children, I need to focus on my children. It’s that simple. HA…simple? Yay right. It’s anything but. Yet I’m willing to try, explore, fumble and discover ways that work best for my family and me. So I am looking at this year as a time to build foundation – for my family and my career. I’m choosing to stay home with my children while they are so young because I want to be fully present with them during these foundation years. This will require that I learn how to simplify my lifestyle even more, and find the balance that allows me to have dedicated work time during my week. When I try to work around the children I feel crazy, frustrated and irritable. As a creative person with more ideas than there are hours in the day, this is going to be a challenge for me. But I know that I must be patient, and that what I really need right now is space. This is a precious stage in my life and my children won’t be young forever. I’m reading a book that is changing the way I prepare, eat and think about food. 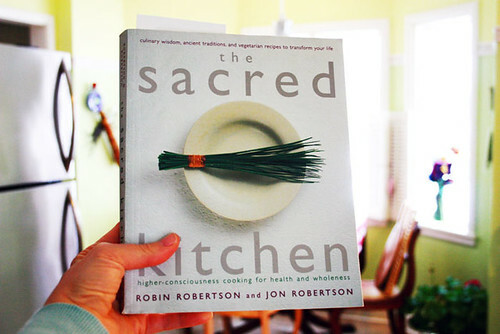 It’s called The Sacred Kitchen: Higher Consciousness Cooking for Health and Wholeness by Robin and Jon Robertson. They have reminded me that my energy goes into the food I cook. So if I’m cranky and resentful because I have to make dinner, then that cranky energy will pass on to my family through the meal I’ve prepared. It’s a fact that we have to eat every day so why not look at making dinner as a celebration? I also really love exploring my creativity in a whole new way through cooking. 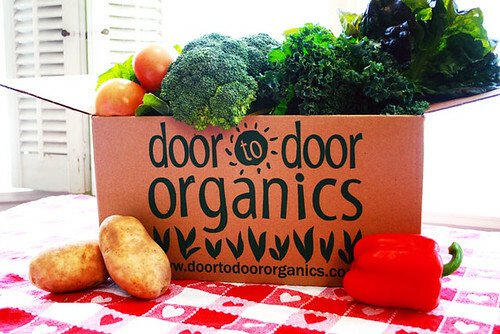 I am determined to stay within my grocery budget, eat organic, wholesome food and explore new recipes, as well as make my own! I went ballistic on my kitchen this past week and cleaned out the pantry, fridge and all the cabinets. I donated every last bit of plastic and items I never use. I’ve been reading about canned foods and have switched to dry beans, and I’m now on a mission to digitize my recipes on my iPad so I can eliminate the paper and cookbook clutter, too. Working to create a solid foundation in my kitchen seems to compliment conscious living in all other aspects of my life, and if nothing else, it just feels so darn good. I took a great e-course during the month of January called Picture Winter with Tracey Clark. Each day I received a new photo prompt that inspired me to look at things in a new way. One assignment was to capture an everyday household item. The example in Tracey’s photo was her coffee maker. It got me to really pay attention to the items I use the most throughout my day. Then I captured this picture. And that’s when the shift for this new year started to manifest in a much greater way. I’m making shifts like this one, taking time for meditation every night (although I still fight the “I’m too tired” excuse), and checking my phone WAY less, so that I can eliminate the chaos, clutter and insanity! And you know something? I realized that our society does not value “downtime.” We look up to and respect the people who do it all, have it all – the type-A, multi-taskers, go-getters, over-achievers, moneymakers, breadwinners, jet-setters. Meditate? Do nothing? Just be? Live in the present? Rest? Slow down? Live without? It may not be what mainstream America values, but I think there’s value in stillness, and by god, I’m gonna try my best to get me some. So with one small step at a time, I am embracing the authentic parts of me – the creative-entrepreneur-wanna-be-painter-art-maker-yoga-pants-wearing-zumba-dancing-breast-feeding-baby-wearing-mommy-loving-married-loving-dark-chocolate-eating-coffee-drinking-Modern-Family-watching-e-course-making-soul-searching-sacred-kitchen-making-deeply-connecting-stillness-craving-living-without-foundation-building and willing to make mistakes along the way. Yes, life is moving by at a rather rapid pace, and I don’t want to miss a thing. I believe life is worth LIVING. I’m choosing to take steps every day to live it to the very fullest. And I’m pretty convinced now that I don’t have to do more, be more, and have more to live a full life. Most importantly, all this deep reflecting has helped me prioritize what’s truly important to me. I’m choosing to live the life I want to live NOW, and whether it’s cooking in the kitchen, teaching a class, picking up toys, sitting in stillness, or playing in the snow – I’m gonna have fun doing it. Your Personal Reflection: What small steps can you take, starting right NOW, to fully experience YOUR life?